UPDATED: Sat., Dec. 2, 2017, 9:04 p.m.
WEST COLUMBIA, S.C. – When a man found the only worker at an empty South Carolina Waffle House asleep, he took his meal into his own hands. 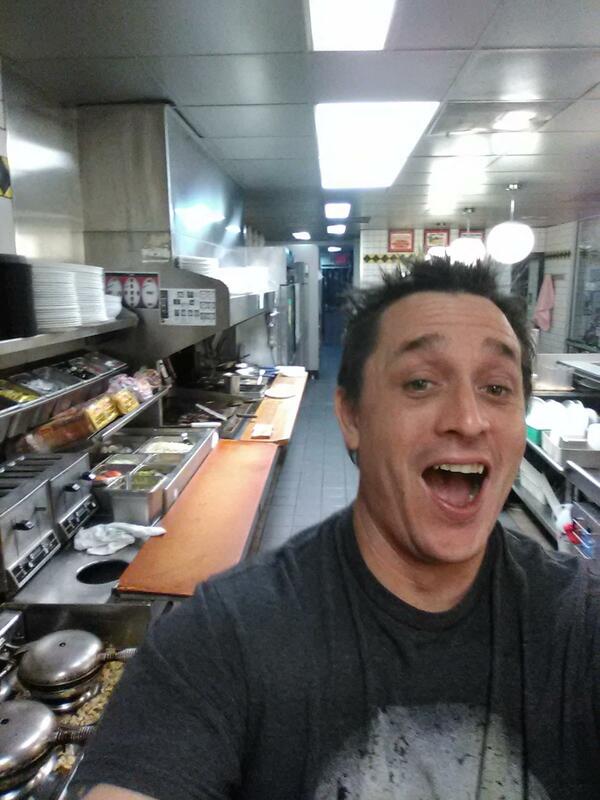 On Facebook, Alex Bowen chronicled with selfies how he made his own double Texas bacon cheese steak melt at the famous Southern 24-7 diner around 2 a.m. Thursday. Bowen’s photos showed him with the sleeping worker, frying bacon and putting the sandwich together. After good-natured kidding about stealing the sandwich, Bowen even posted a selfie returning to pay for his meal. Waffle House said in a statement it was impressed with Bowen’s cooking skills but customers should never go behind the counter for safety reasons. Published: Dec. 2, 2017, 3:49 p.m. Updated: Dec. 2, 2017, 9:04 p.m.